Ideal Heating is celebrating after its Ideal Logic+ boiler range came up trumps at the 2014 Product of the Year Awards in London last month. The world’s largest award for product innovation as voted for by consumers, the Ideal Logic+ boiler scooped the top prize in the household boiler category. Almost 12,000 members of the public took part in the survey, which was carried out by market information group TNS. According to the research, consumers were impressed by the Ideal Logic+ boiler due to its high efficiency which helps to bring down central heating bills, ease of use and minimal maintenance. The Idea Logic+ range features Combi boilers which are available in 24, 30 and 35kW outputs, while their system boilers include outputs of 15, 18, 24 and 30kW. The Logic+ heat only boiler is available in 12, 15, 18, 24 and 30kW outputs. Lightweight and compact and easy to install, the Logic+ can be installed in most standard kitchen cupboards. Simple to operate, providing quick and hassle free installation and maintenance, up until 30th June 2014 all boilers in the Logic+ range are available with a 7 year parts and labour warranty. Commenting on the award, managing director Shaun Edwards said the company was proud and honoured to be recognised as a reliable and innovative brand trusted by consumers. “The Logic+ range of boilers are our flagship range, which have massively contributed to our recent success of becoming the fastest growing boiler brand in the UK. For over 100 years Ideal has been working hard to keep homes warm and comfortable and continues that tradition with it’s Logic+ range of system, heat only and Combi boilers, providing easy to use state of the art eco-friendly technology. Looking to install a new or replacement Ideal boiler? 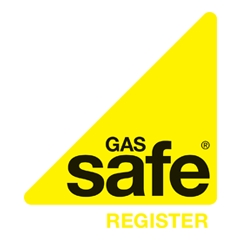 Get up to 3 no-obligation quotes from Boiler Guide’s approved Gas Safe Registered heating engineers for free.